The year is 2006 the drug trade is booming. Trafficking between Asia and Europe at an all time high. It is at this time that the Malaysian intelligence and Anti narcotic department are called upon for assistance by their Indian counterparts there are rumours that the gang have recently moved their operational headquarters to k the cartel is headed by the dreaded Singhania but what many people do not know is that the business is truly managed by his trusted lieutenant don. A man who lives life on the edge don is constantly expanding the size of his empire while evading arrest or death at the hands of his enemies both with in and outside the law. Fearless cunning and Ruthless he is unstoppable in his pursuit of absolute power. His chief pursuer is an Indian police officer narcotics DCP Desilva he is a man who has sworn to put an end to this nexus of evil and knows that in capturing don lies the key to unlock this puzzle and one day he succeeds don is captured and Desilva puts his plan into action. Unknown to even his own department Desilva has recruited and trained a man who is a spitting image of don his name is Vijay. 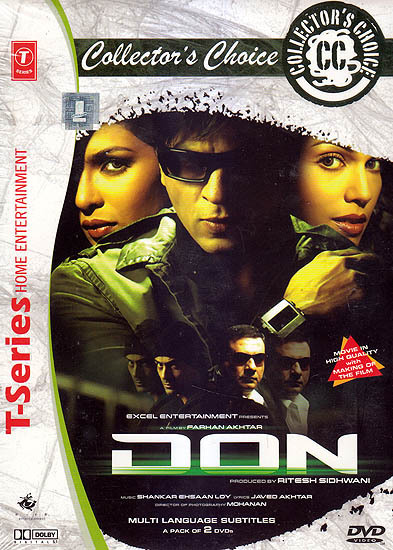 Vijay infiltrates the cartel and manages to give Desilva all the information he needs to spring it down but in a Bizarre twist of fate Desilva is killed during a Raid and the secret that don is fact Vijay a police informer is buried with him the only people who realize that he in in fact an imposter are the members of don’s cartel and they want their revenge. Vijay manages to escape and is now on the lookout for the one last piece of evidence that can get him out of his mess. Helping him on the quest are two people the first is roma a young woman who was working in the gang but only to avenge her brother’s death. He had been mercilessly killed don when he had decided to leave the gag. The other is jasjit the real father of Vijay’s adopted son deepu, he owes Vijay for having looked after the body while was in prison.